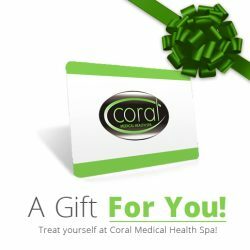 Windsor, Ontario’s own Coral Medical Health Spa is very pleased to announce the launch of Magnetic Field Therapy. Magnetic Field Therapy or the iMRS system was created by Swiss Bionic Solutions, and combined with Bio-Identical Hormone Replacement Therapy (BHRT), Detoxification, and Weight Loss Programs, is the latest addition to the Age Prevention department. It is now commonly accepted that weak electromagnetic fields are capable of initiating various beneficial biological processes including healing for delayed fractures, pain relief, and modulation of muscle tone and spasm. Human tissues have shown dose-dependent responses to magnetic fields depending on the nature of the signal. One can induce meaningful electrical and magnetic current densities within biological tissue. Any substance that conducts electricity (including living tissue) possesses an induced electrical current (Faraday’s law of induction). Magnetic and electromagnetic fields create electrical potentials within tissues with a unique advantage over electrical current: no surface or needle electrodes are required. Magnetic fields are therefore non-invasive in the purest sense, and far easier and more efficient to apply. Since electromagnetic waves pass through matter, one does not even need to disrobe to provide a therapeutic application of electromagnetic signal. In the USA the iMRS-series is registered and regulated with the FDA. In Canada the iMRS is a class II approved medical device.